I first saw my bike advertised ( a 1957 Norton ES2 ) in ‘Classic Bike’, an English magazine, in 1992. It was owned by a fellow called John Farrow in Manchester and I miscalculated the time difference and woke him up in the early hours of the morning with my enquiry. At that stage it was complete but not running and he was not sure why. Eventually we reached an agreement for my purchase and he agreed to crate the bike up and send it by sea to Brisbane. When it finally arrived it was exactly as he had described it but there was no crate. It was simply wedged into a container of general cargo and not even on a stand! Amazingly it did not have a mark on it. John Farrow had spent a lot of time building the machine and had put it together well with a range of nice touches such as a primary belt drive, alloy rims, tank and oil tank, 5 speed Quaife box, NEB clutch and the like. The only problems with the bike were the magneto, which was the original reason that the bike would not run, and the engine. When Mike Farrell first looked inside the engine he suggested that some of the workmanship was pretty ordinary and that the engine might not hang together for very long. He was eventually proved correct when the crankshaft let go at Phillip Island in 1998. 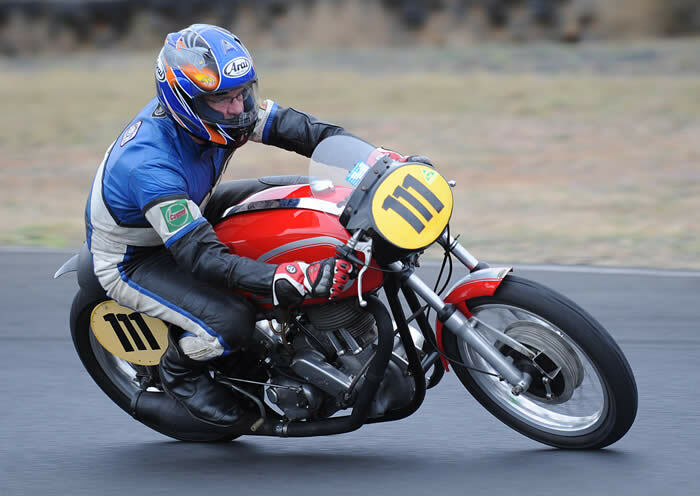 Mike eventually built a new engine for the bike, with a Wiseco piston on a shorter stroke and a Carillo rod. He did a lot of fine work on the engine including valves and porting, vernier adjustable cam timing and polished steel flywheels. That engine went in to the bike in 2000 and it has been going strong ever since. 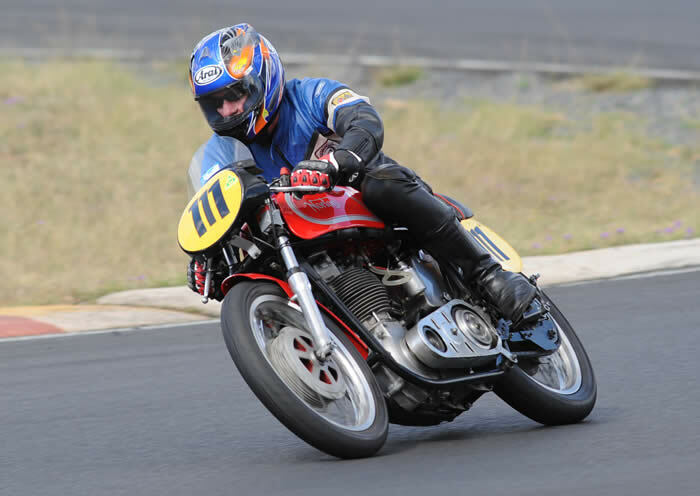 The bike has only been raced intermittently since then, but getting a taste for racing again at the Australian titles at Morgan Park this year has fired my enthusiasm and I’m hoping to get the bike out regularly next year.